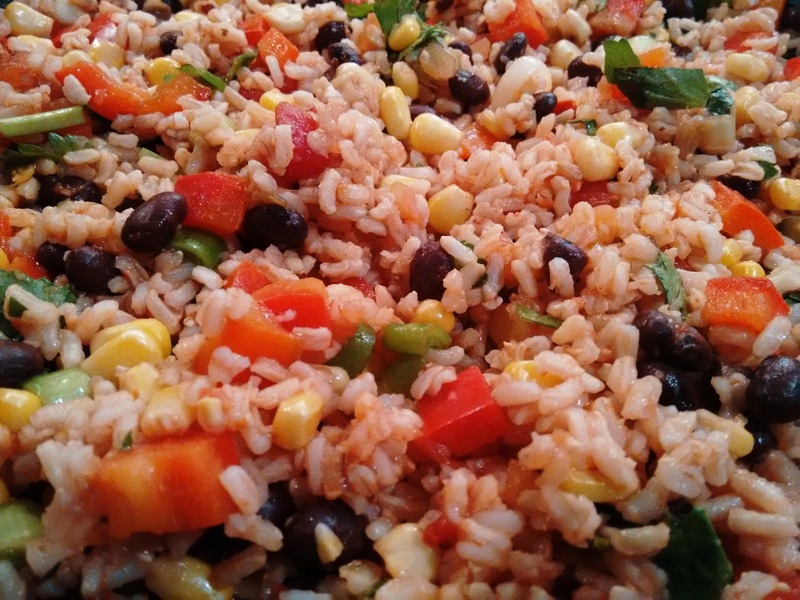 This rice tastes awesome and is super easy to make! The key to making good fried rice is to cook the rice ahead, cool and refrigerate it, so that you lightly toast the rice in the wok. If it was still hot when you added it to the wok, it would just continue cooking and become mushy. To achieve the tomato-y flavour of Mexican rice, salsa does the trick (as an alternative to canned tomatoes or tomato paste). For a vegetarian main dish, sprinkle some grated cheddar on top for added protein. I topped this dish with Slow Cooker Pulled Pork. Add canola oil to wok and set to high heat. Add peppers, green onions and corn to wok and stir frequently. Mix spices into salsa in a measuring cup. Add black beans and rice to wok, then add salsa on top and mix to coat the rice and veggies. Add cilantro at the end of cooking and stir.